If you are a coffee fan (that’s me!) you are going to want to make this Vietnamese Coffee Pop Recipe all summer long. Coffee has got to be my BIGGEST addiction. 100% a fact. I drink coffee all day long (I usually have my last cup at around 10 PM, sometimes even later). Earlier this week I received an Early Mother’s Day Gift. The hubby surprised me with a new AeroPress. Now I am normally not one to use fancy coffee machines. Just give me my Keurig and I am one happy camper, lol. 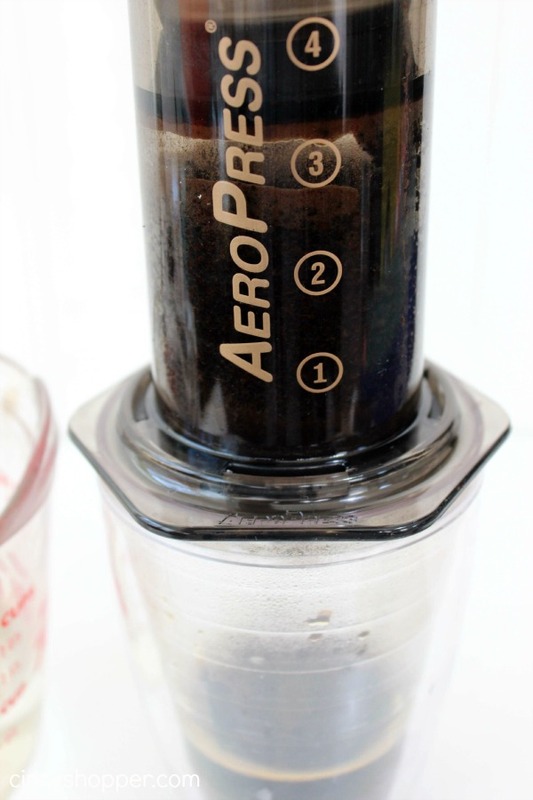 But recently my aunt showed me her knew AeroPress and I was so insanely jealous. The coffee from this press was AMAZING nice and STRONG coffee. I dropped a few hints this past few weeks to the hubby about my new love for this AreoPress. Bingo! He was listening ha ha! As soon as I opened this bad boy he brewed me a nice hot cup of STRONG Coffee. I was in coffee heaven.When my daughter arrived home from school we both made ourselves a Vietnamese Coffee (yup we loaded in the Sweetened Condensed Milk, yum!) We were chatting up and Cierra mentioned how wonderful the flavors were and how they would make a great Popsicle. Yup, this girl is addicted to popsicles in the summer. So much so that she was drinking hot coffee and thinking about it in pop form ha ha! 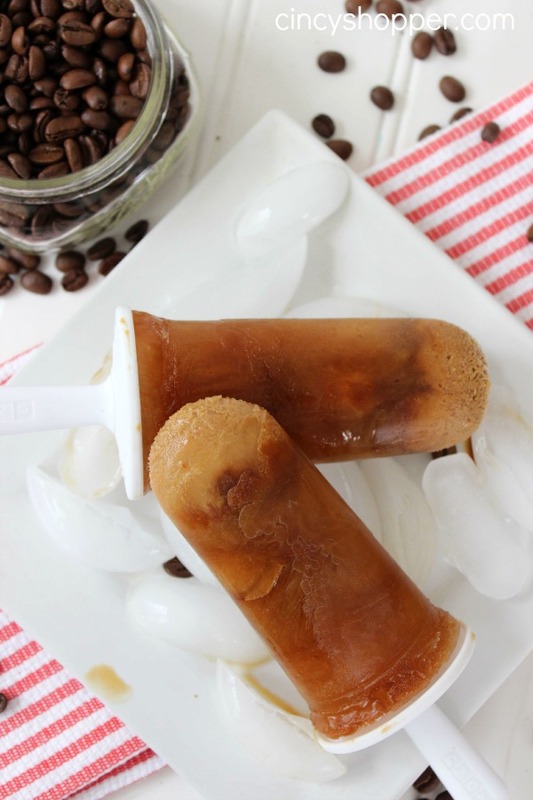 So, I decided to give it a go and make up some Vietnamese Coffee Pops. 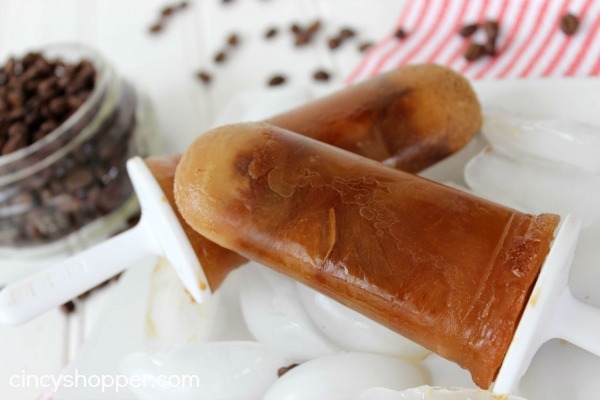 I will admit I made two attempts with this Vietnamese Coffee Pops Recipe. My first attempt I added a Sweetened Condensed Milk tip to them. They were delicious but the tip would not freeze properly. So that batch turned out sort of messy but so tasty. I made a second batch and added the sweetened condensed milk in with the coffee and the results were less messy. 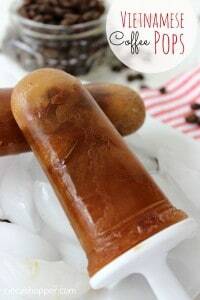 You will not need an AeroPress to whip up these yummy pops just brew some really strong coffee and grab yourself some sweetened condensed milk. If you are looking to purchase this amazing press you can score this AeroPress Coffee and Espresso Maker on Amazon. It is super highly rated and makes AMAZING Coffee. You will be in coffee heaven before you know it. You can also score yourself my new favorite Zoku Slow Pops: Classic Pop Molds on Amazon too. It is my favorite pop maker so far. I purchased mine at TJMaxx. I went back this week to purchase a second and they were completely sold out. Zoku is so HOT in Pop makers now that they are difficult to find in stock. Check your TJMaxx they are priced around $9.99 each or grab one from Amazon (I just ordered a second one). If you want to make this using the AeroPress, use 3 scoops of ground coffee and fill up to the 3 line before pressing. Then add water to raise to 10 oz. 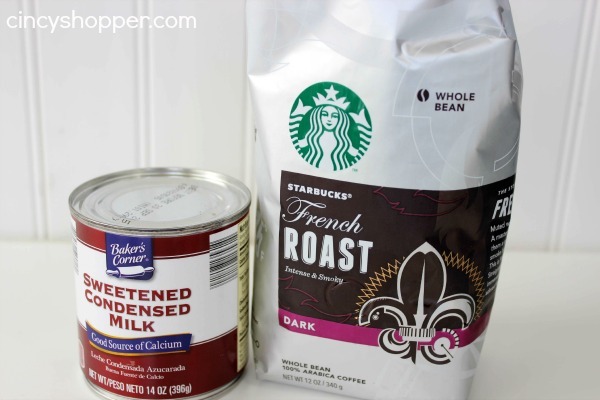 Combine 1/3 the coffee with 2/3 of the sweetened condensed milk and mix well. Divide this mixture evenly into the molds. Place in freezer for 1 hour or until it is barely frozen. Combine the remaining 2/3 of the coffee with the remaining 1/3 of the sweetened condensed milk and mix. Use this mixture to fill the remainder of each mold and insert sticks. Place in freezer for 3-5 hours. I have loved this new press. The hubby has been making me morning coffee all week long and it has made some really great coffee. This Vietnamese Coffee Pop Recipe was a HUGE hit with my daughter and I (we are the coffee fanatics). I know it will be one we make many times this summer. If you are looking for other fun Summer treats be sure to check out my Mango Swirl Ice Cream Recipe,Homemade Chocolate Magic Shell Recipe, Patriotic Pudding Pops Recipe, Frozen Chocolate Covered Bananas Recipe, Strawberry Shortcake Pops Recipe, CopyCat Wendy’s Frosty Recipe, Root Beer Float Pops Recipe, Easy Blueberry Cheesecake Ice Cream Recipe, Frozen Chocolate Dipped Kiwi Pops Recipe , Homemade Snow Cones Recipe and all of the great Drink Recipes I have shared with all of you. Are you following my Summer Treats Board on Pinterest? If not be sure to check it out and follow. I have been pinning some great Summer Treats to keep all of us cool this summer. Also, I have just started pinning to my July 4th Holiday board. I am looking forward to pinning lots of great Patriotic Recipes and ideas.